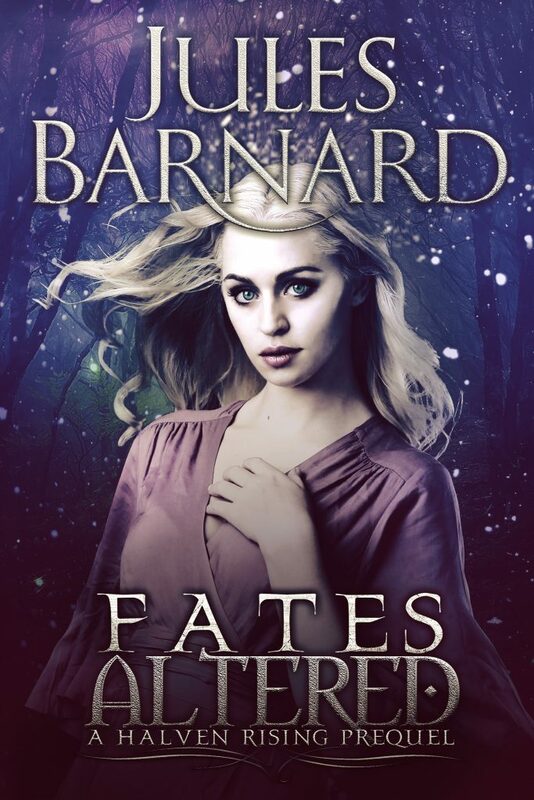 Fates Altered—Jules Barnard | Moonshell Books, Inc. The Halven Rising series, book one. A prequel novella of 27,000 words, proofread by Moonshell Books, Inc. in October 2016. Humans are beneath her kind, but Fae princess Theodora Rainer must escape the Fae realm, or marry a man she despises. California farmer Alex Rosales is the responsible one. He stays out of the trouble his older brother gets into–someone has to hang onto the farm. But when Alex finds Theodora hiding out on his property, caution is nowhere in sight. She has the beauty of an angel, with deep secrets Alex can’t penetrate. No matter how hard he tries, Theodora won’t let Alex in. But when he breaks his own rules and invites her to stay with him, he glimpses her heart–only to discover something powerful seeks to tear them apart. 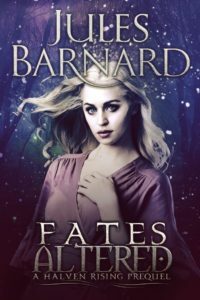 FATES ALTERED tells the story of the love that sparked the Halven Rising. This entry was posted in Fantasy, New adult, Romance and tagged California, Halven Rising. Bookmark the permalink.